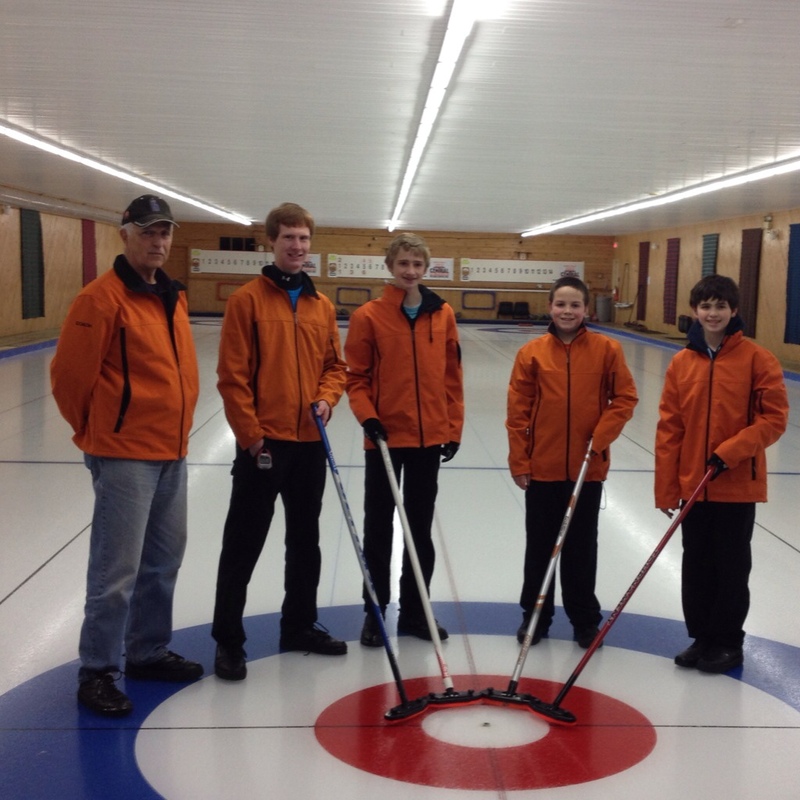 If you have followed our blog for any length of time, you know that our two sons are involved in curling and have a goal of being Team Nova Scotia at the 2015 Canada Winter Games in Prince George, BC. This time, Nova Scotia is choosing their representative through a different process than they have in the past. Rather than sending that year’s provincial champion (winner of a bonspiel), the representative team is being chosen after completing a three year process. We became involved two years ago and since then, our team (Team Spinney) has played at a number of Canada Games bonspiels and has participated in multiple training camp weekends where not only do they get on the ice, but also participate in dryland training, nutrition seminars, and sports psychology sessions. When the process started, there were approximately 15 boys’ teams and twelve girls’ teams, each competing against one another, with players at varying skill levels. Each athlete has to have been born no earlier than January 1, 1997, so they are still a relatively young group. There have been three qualifying bonspiels; two last spring which offered four spots, and one this weekend, offering the final two spots. This weekend’s bonspiel in Antigonish was double knockout (which meant if you lost two games you went home) and the pressure was high. Different teams have reconfigured during the process, and the level of play has improved immensely. This weekend, our boys were on their game, held up under the pressure, and earned the final spot. One difficult thing about curling is that there has to be a winner and a loser in each game. Each win in a bonspiel like this is bittersweet when you know you’ve knocked out another team that you like and respect. That happened to us twice during the weekend. Everybody is striving toward the same goal and the stakes are high, so wins are more subdued and the parents are much quieter. Moving forward, the six qualifying teams will play together at three different bonspiels this winter and it is our understanding that the team with the best performance at the three bonspiels will be chosen as Team Nova Scotia in March. There is also an opportunity for the second ranked team to attend the Optimist International Under 18 Curling Championships in Langley, BC. Drew, Evan, Alex & Adam have worked very hard to get this far. They generally curl six days each week, help out with the pre-juniors, and curl in the adult recreational league some evenings. They cross-train by mountain biking together once each week in the nicer weather, run, and attend fitness & yoga sessions with their sponsor, MacKinnon Fitness and Breathing Space Yoga Studio. We are so proud of their accomplishments and wish them well as they continue to work together toward achieving their goal! Team Spinney with Coach Chuck Dyke after qualifying to continue in the 2015 Canada Games Process.